Get a Plumas County Traffic Ticket? You Can Beat It! Did You Get a Ticket in Plumas County, California? You can fight Plumas traffic tickets by getting them dismissed much easier than you may think. In Plumas, California, drivers are allowed to contest a traffic ticket using a Trial by Written Declaration. This is best way to fight a traffic ticket without going to an Plumas courthouse or hiring an expensive Plumas traffic ticket lawyer. We have found this to be the best way to contest a California traffic ticket, period. This option is available to every driver who receives a traffic ticket in Plumas, California. In fact, if you turn over your traffic ticket you will see that a Trial by Written Declaration is listed right on the back of your ticket as one way to fight it. This process has been around since 1978 to avoid having to pay traffic ticket fines. TicketBust has been helping California drivers prepare Trial by Written Declaration’s for over 14 years. In fact, tens of thousands of vehicle tickets in California have been contested using our system. We are the original traffic ticket fighter and the TicketBust system has been developed specifically to prepare all your documents properly based on how you answer a few questions. This way you can fight your ticket, knowing you have maximized your chances of having the court dismiss your Plumas County traffic ticket. TicketBust service will prepare your full defense package for you, which includes your Trial by Written Declaration and all the defense documents required by Plumas traffic court. Fill out the yellow form to fight your Plumas traffic ticket now! Did you know that you aren’t allowed to pass the white limit line when you are stopped at an intersection? From our experience, this can be a common ticket issued in the county of Plumas, so be on the lookout and stay behind that solid white line. If you find yourself having received a traffic ticket in Plumas, give us a call or fill out our form to see how we can help! Prior to the California Gold Rush of 1849, the Maidu people lived in small settlements along the edges of the valley. Gold-hungry prospectors flooded into the area with the tall-tales from Thomas Stoddard of a golden nugget filled lake on their minds. For months, they searched unable to find the purported lake of gold, yet instead some were successful panning in the rivers and creeks in the area. 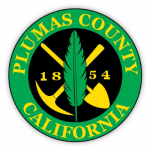 The county of Plumas, receiving its name from the Rio de las Plumas (or “the Feather River”), was officially formed in 1854 from portions of Butte County and was later added to with portions of Lassen County in 1864, and Sierra County in 1868. The population of Plumas County is roughly 22,000 people and the county encompasses 2,613 square miles of which about 70% is considered a U.S. National Forest. Plumas reaches from the far northern end of the Sierra Nevada Mountain Range to the southern end of the Cascade Range. A portion of Lassen Volcanic Nation Park reaches into the northwest corner of the county as well. Due to the 1.2 million acres of national forestry, Plumas County offers a wide variety of outdoor activities, including hiking, camping, kayaking, mountain biking, and fishing. During the winter months, the area is also known to have some of the best ski resorts around, making recreation and tourism a large part of Plumas County’s economy.